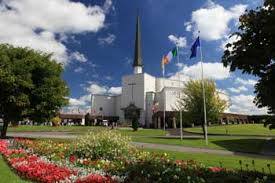 Cyberbullying and internet safety are to be addressed at the national shrine at Knock. “As a parent, navigating the complexities of social media can be overwhelming,” state the organisers at the Knock Counselling Centre. To help parents deal with this and other issues with the internet and social media, IT specialist and teacher Jeremy Pagden will offer evening workshops on 23 and 24 April. Jeremy Pagden is Managing Director of Schools Websites, has an MBA in IT Management, and has taught in many parts of the world, including Zimbabwe, Kuwait, Bahrain, Saudi Arabia and in London, UK. His company has been specialising in websites for schools in Ireland for the last ten years. Five years ago, schools sought advice on internet security. He has since visited hundreds of schools in Ireland to address this issue. There is such a demand that he is already taking bookings for 2019. He limits himself to doing two courses every week and a colleague does similar numbers. “In the last 12 months it has ratcheted up,” he said, explaining that this is due to the number of high-profile cases of cyberbullying and crime in the media. In one case an adult predator persuaded young people to post sexually explicit images of themselves on social media. On Irish TV recently, concerns were raised about a game that has gone global called “Fortnight”. He said that the concerns now are about much more than cyberbullying. For example, YouTube is popular among primary school children and can be a cause of concern. Jeremy Pagden visits both primary and secondary schools in Ireland and addresses pupils and parents. 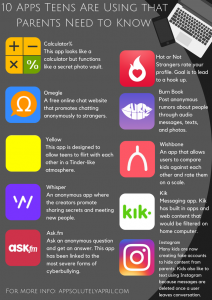 When he asks if they use Snapchat, 100 per cent of secondary students say they do and more than 50 per cent of primary students do, yet the rules of Snapchat state that users have to be over the age of 13. Last week in a school in Mayo, he spoke to a young boy in third class who is able to access the dark web, or the criminal side of the worldwide web or internet. “We wouldn’t abandon our children to the streets of Dublin on a Saturday night at twelve o’ clock. We wouldn’t just dump them there and say ‘right, see you in two hours time’. Yet in effect that is what parents are doing when they give their children unfettered access to the internet,” he said. Jeremy Pagden, who comes from Zimbabwe and now lives in Ireland, says that the problem is worldwide. While there are some local cultural differences, the vast majority of Western nations have a serious problem with safety of children on the internet and social media. The seminars will cover topics including an overview of the internet, cyberbullying, safe use of apps, and safety settings on home Wi-Fi. Jeremy Padgen said that he will also highlight the predators, browsers and other “nasty people” who have access to children’s information and therefore to children.